Zimmer Biomet, a musculoskeletal medical device company, is partnering with Apple to use the Apple Watch with an iPhone 6s and above in tracking the pre-surgery and post-operative recovery process for patients with hip and knee replacements. Zimmer is using the mymobility app developed with Apple to track patient-reported feedback, provide patient education and guidance, and share continuous health and activity sensor-based data with care teams. The aim is to improve the standard of care and patient outcomes after these surgeries. The mymobility Clinical Study started on 15 October and may enroll up to 10,000 patients with 16 corresponding healthcare facilities including academic health systems, hospitals, and orthopedic surgery centers/practices. No length or end date for the study has been disclosed. A positive outcome leveraging patient engagement and providing continuous detailed clinical tracking data could have major significance. There are over 1 million hip and knee orthopedic replacements in the US annually, which is expected to increase to 3.5 million by 2035. The average cost of a hip or knee replacement is estimated at about $31,000, varying widely by region, based on a 2015 Blue Cross Blue Shield Association study. Post-surgery complications are common enough so that Medicare.gov tracks them through Hospital Compare. The Apple Watch, ECG and fall detection–a trend too far? [grow_thumb image=”http://telecareaware.com/wp-content/uploads/2018/10/apple-watch-series-4-elektrokardiogram.jpg” thumb_width=”125″ /]Mid-September’s Apple Fans kvelled about the Apple Watch Series 4 debut. Much was made in the health tech press of Apple’s rapid FDA clearance and the symbolism of their further moves into medical devices with the Series 4 addition of a built-in atrial fibrillation-detecting algorithm and an ECG, along with fall detection via the new accelerometer and gyroscope. This latter feature is significant to our Readers, but judging from Apple’s marketing and the press, hardly an appealing Unique Selling Proposition to the Apple FanBoys’n’Girls who tend to be about 35 or wannabe. The website touts the ECG as a performance feature, a ‘guardian and guru’ topping all the activity, working out, and kickboxing you’re doing. It positions the fall detection and Emergency SOS in the context of safety during or after hard working out or an accident. It then calls 911 (cellular), notifies your emergency contacts, sends your current location, and displays your Medical ID badge on the screen for emergency personnel, which may not endear its users to fire and police departments. Selling to older adults is obviously not the way that Apple is going, but there may be a subset of ‘young affluent old’ who want to sport an Apple Watch and also cover themselves for their cardiac or fall risk. (Or have children who buy it.) This is likely a sliver of a subset of the mobile PERS market, which is surprisingly small–only 20 percent of the total PERS market. But monitoring centers–doubtful, despite it being lucrative for GreatCall. 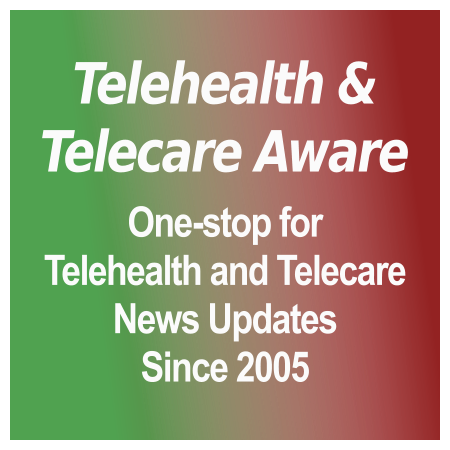 [grow_thumb image=”http://telecareaware.com/wp-content/uploads/2017/12/Lasso.jpg” thumb_width=”100″ /]Our Editors will be lassoing our thoughts for what happened in 2017 and looking forward to 2018 in several articles. So let’s get started! Happy Trails! 2017’s digital health M&A is well-covered by Jonah Comstock’s Mobihealthnews overview. In this aggregation, the M&A trends to be seen are 1) merging of services that are rather alike (e.g. two diabetes app/education or telehealth/telemedicine providers) to buy market share, 2) services that complement each other by being similar but with strengths in different markets or broaden capabilities (Teladoc and Best Doctors, GlobalMed and TreatMD), 3) fill a gap in a portfolio (Philips‘ various acquisitions), or 4) payers trying yet again to cement themselves into digital health, which has had a checkered record indeed. This consolidation is to be expected in a fluid and relatively early stage environment. In this roundup, we miss the telecom moves of prior years, most of which have misfired. WebMD, once an acquirer, once on the ropes, is being acquired into a fully corporate info provider structure with its pending acquisition by KKR’s Internet Brands, an information SaaS/web hoster in multiple verticals. This points to the commodification of healthcare information. [grow_thumb image=”http://telecareaware.com/wp-content/uploads/2017/12/canary-in-the-coal-mine.jpgw595.jpeg” thumb_width=”150″ /]Love that canary! We have a paradigm breaker in the pending CVS-Aetna merger into the very structure of how healthcare can be made more convenient, delivered, billed, and paid for–if it is approved and not challenged, which is a very real possibility. Over the next two years, if this works, look for supermarkets to get into the healthcare business. Payers, drug stores, and retailers have few places to go. The worldwide wild card: Walgreens Boots. Start with our article here and move to our previous articles linked at the end. In the UK, our friends at The King’s Fund have rounded up their most popular content of 2017 here. Newer models of telehealth and telemedicine such as Babylon Health and PushDoctor continue to struggle to find a place in the national structure. (Babylon’s challenge to the CQC was dropped before Christmas at their cost of £11,000 in High Court costs.) Judging from our Tender Alerts, compared to the US, telecare integration into housing is far ahead for those most in need especially in support at home. Yet there are glaring disparities due to funding–witness the national scandal of NHS Kernow withdrawing telehealth from local residents earlier this year [TTA coverage here]. This Editor is pleased to report that as of 5 December, NHS Kernow’s Governing Body has approved plans to retain and reconfigure Telehealth services, working in partnership with the provider Cornwall Partnership NHS Foundation Trust (CFT). Their notice is here. More UK roundups are available on Digital Health News: 2017 review, most read stories, and cybersecurity predictions for 2018. David Doherty’s compiled a group of the major international health tech events for 2018 over at 3G Doctor. Which reminds this Editor to tell him to list #MedMo18 November 29-30 in NYC and that he might want to consider updating the name to 5G Doctor to mark the transition over to 5G wireless service advancing in 2018. And perhaps there’s a future for wearables, in the watch form. The Apple Watch’s disconnecting from the phone (and the slowness of older models) has led to companies like AliveCor’s KardiaBand EKG (ECG) providing add-ons to the watch. Apple is trying to develop its own non-invasive blood glucose monitor, with Alphabet’s (Google) Verily Study Watch in test having sensors that can collect data on heart rate, gait and skin temperature. More here from CNBC on Big Tech and healthcare, Apple’s wearables. Summertime, and the health data breaches are easy…. The WHO has produced an excellent report on the state of eHealth in the European region, including a review of telehealth readiness. Ericsson have produced a very interesting report confirming what I guess anyone will have realised if they’ve traveled by public transport or have children: young people downloading video content are driving a surge in data usage: there’s much detail here though. Both are well worth the read. Mentioning Ericsson reminds that the Telegraph recently produced a summary of the 20 best-selling mobile phones of all time – takes you back, with the substantial number once produced by Nokia. [grow_thumb image=”http://telecareaware.com/wp-content/uploads/2015/08/LG-Urbane.png” thumb_width=”150″ /][grow_thumb image=”http://telecareaware.com/wp-content/uploads/2015/08/fitbit-charge.jpg” thumb_width=”150″ /]Which one would you prefer? The interest in fitness bands has quantifiably and substantially diminished since January, according to Argus Insights’ survey of online consumer reviews (! )–and since the debut of Apple Watch. And while Fitbit maintains its leadership in the band category (sorry Jawbone, though Editor Charles won’t be), the rising preference is for smartwatches like the Apple Watch and Android wear such as the Moto 360 and the LG Watch Urbane (pictured). While there’s a substantial price difference between smartwatches (~$350 versus under $150), and both Apple Watch and LG’s watches (versus LG bands) have limited fitness capability, there’s few new developments in fitness bands to create excitement. There have been enough problems with fitness band reliability, breakage, rising prices and a boredom with design to diminish interest while new brands enter the market, and smartwatch prices come down slightly. For the price, users also want more out of their watches. Neil Versel in MedCityNews. Also by Mr Versel is a memorial to telemedicine pioneer Dr ‘Red’ Duke. As a surgical resident at Parkland Hospital, he was on the team which saved the life of Texas Governor John Connally, shot with President John Kennedy in November 1963. We begin with a post from Dr Richard Windsor, aka Radio Free Mobile, a person whose opinions I greatly respect, arguing that Fitbit has chosen the perfect moment to float. Next is an invitation to a Healthcare App – Peer to Peer Session at Swansea University on 20th May at The Institute of Life Science 2 – attendance is free, booking is here. Hours are stated as 10.45 am – 12.00pm (ie noon). Then we have a gentle reminder for the Royal Society of Medicine’s event on the 4th June entitled “Should patients manage their own care records?” As the RSM is a charity, our charges for a whole day of excellent speakers are a tiny fraction of what a commercial event would charge, and there’s no hustling. [grow_thumb image=”http://telecareaware.com/wp-content/uploads/2013/02/gimlet-eye.jpg” thumb_width=”150″ /]L’œil de Gimlet eyes the Apple Watch. What’s down the road is more important than Monday’s unveil. Certainly The Eye, an adorer of all things over-the-top, would love to have the $10,000-and-up 18 karat, Daddy Warbucks, Solid Gold Cadillac edition of the Apple Watch. It is the sheer hyperluxus, Mercedes-Maybach S600-ness of it all that races my pulse. Stop at $4,000? Nein! $10,000 and up lends a golden glow to all those ordinary, plastic-banded, Mickey Mouse-faced $349 and up versions for the Applepolloi that take that pulse, burp your wrist when you’re not moving enough, open the garage door, play tunes and let you draw little thingies on the face that you can send to your friends. (Urp) What’s even better than a Merc-Maybach in Conspicuous Consumption-Ville? That it will be out of date in a year, unless Apple has a trade-in policy. Well we predicted only a few days ago that there would be some major wearable casualties this year, little realising that the first was about to hit us: Google’s decision to stop selling Glass “in present form”. Donning this editor’s retrospectacles, the campaign to embed Glass into the world’s technology infrastructure has always felt a bit forced: much more supplier push than customer pull, with wearers, except in circumstances like surgical operations, given a wide berth by many non-wearers. It was pricey too. The Association of British Healthcare Industries (ABHI) is looking for companies to share the British Pavilion at the CMEF trade show from 15th – 18th May 2015 in Shanghai, China. It is apparently the the leading Healthcare trade show in China and is now the largest Medical Equipment exhibition in the Asia Pacific region attracting over 60,000 visitors. Details here. Still need to see some more predictions for 2015? – try these 12 for telecoms, which does include the odd interesting nod towards subjects we cover, including interconnection of wearables and connected homes. 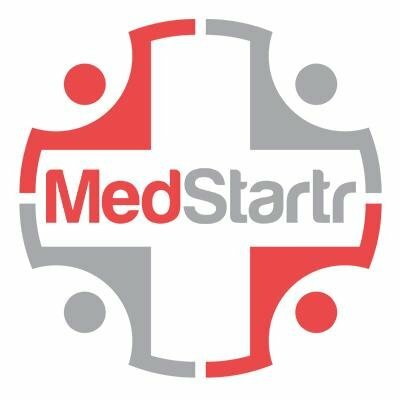 Prompted by our mention of V-Connect in our review of our 2014 predictions, MD Adam Hoare has pointed out that his company also won the Medilink ‘partnership with the NHS’ award for their renal project with The Lister Hospital in Stevenage. Congratulations! Have you noticed that many early adopters have skipped smartwatches? Other wearables such as fitness trackers have taken their place successively on the wrists of your favorite Quantified Selfer or weekend warrior. (A sign: they are now mass market at drug stores like CVS and sports stores for the holiday.) But how many people are looking forward to a special delivery of an Apple Watch, Samsung Gear S or even the well-reviewed and well-priced LG G Watch R in Santa’s pack? Having just returned from the NYeC Digital Health Conference, I saw few on the wrists of DH mavens. Smartwatches (and clothing wearables) also faded out at CES Unveiled [TTA 21 Nov], a complete turnaround from June’s event. A knockout or a catch up? Now that the Hype Dust is settling (along with Apple’s stock price), let’s take a look at what we know today about the new, larger iPhones and the Apple Watch regarding health monitoring. Size and screen in phones. Apple got the message: squinting at tiny type and swiping to enlarge is rapidly becoming yesterday’s pain. As smartphones and larger screens knocked out the Blackberry, Samsung led the way in sizing up and higher resolution–and others followed suit. The awful fact is that the smartphone market is aging, both in users and who’s left in the market to grow it, and we want to see, not squint. [grow_thumb image=”http://telecareaware.com/wp-content/uploads/2014/09/apple-watch-beauty-shot.png” thumb_width=”150″ /]Finally (drum roll), a sleeker smartwatch with fitness tracking, out sometime next year–and not just a sports model. The basic model is a rubbery Sport watch, the mid-line has a sapphire crystal, stainless steel case and (proprietary) swappable bands. The beauty is the upmarket version in gold with a leather band (left, courtesy re/Code). Here Apple is up against multiple in-market competition from Fitbit to Moto to Withings to Samsung Gear–whose pricing is well below the starter Apple Watch at $349 in the $200 and below range. The Apple Watch looks seriously great, distinctively thinner and it’ll be a prestige item. But does it track more and better? No. According to reports (updated today) this is what it has: heart rate monitor, pulse, daily activity for which you need the phone. No sleep monitoring. It also has to be charged every night. There may be other features from developers, but they are under wraps for now and will likely require phone tethering. (re/Code) It’s not a comprehensive lifestyle watch–yet.